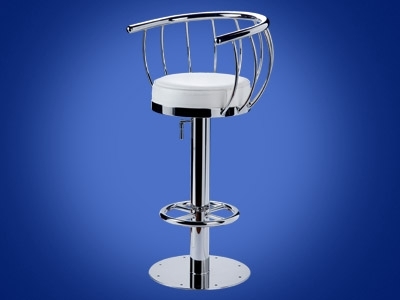 with Footrest 43" High, Seat Height 30" , 17" Base , Seat Diamter 12". 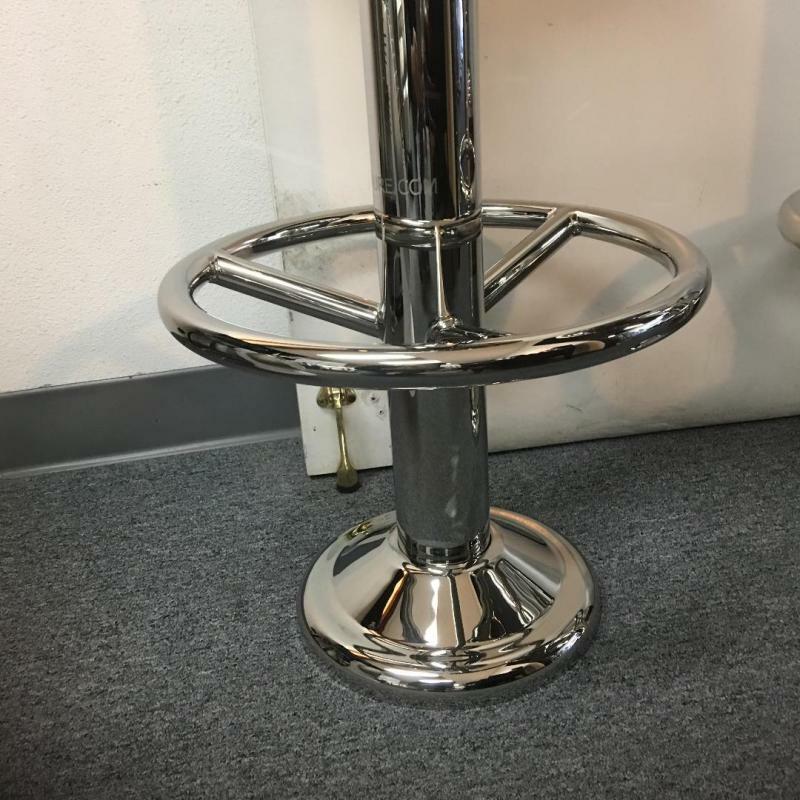 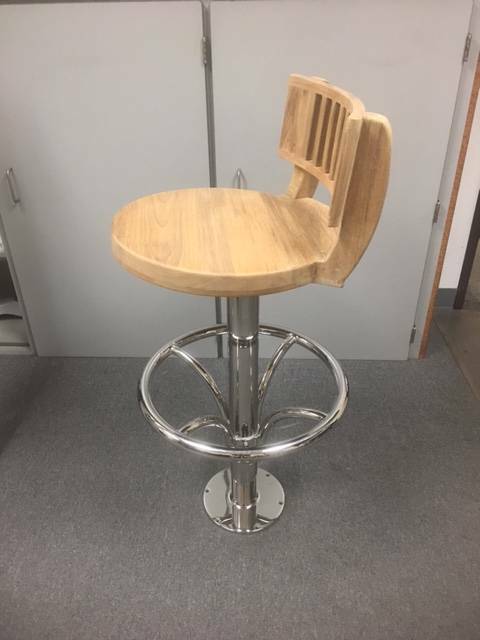 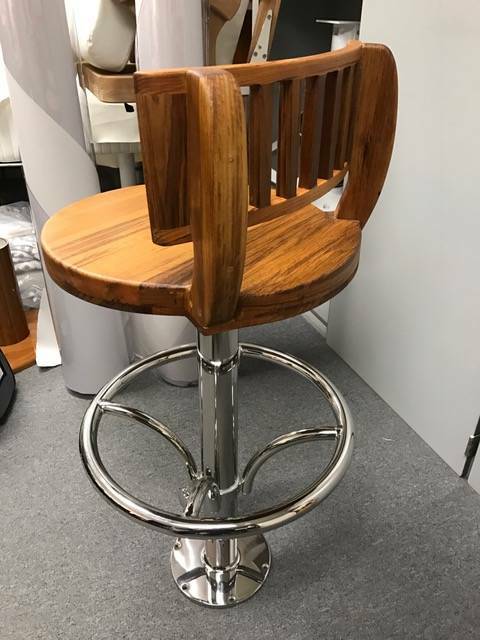 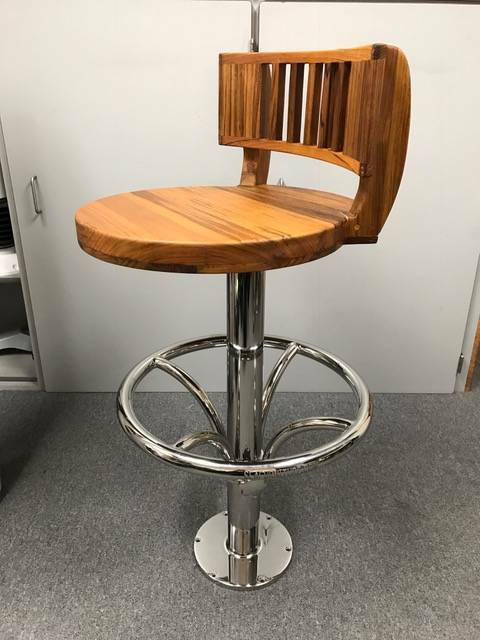 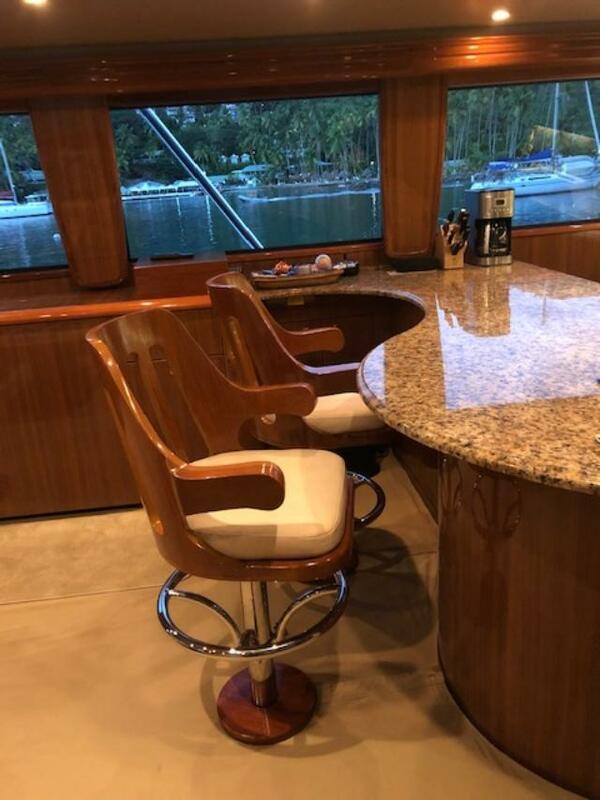 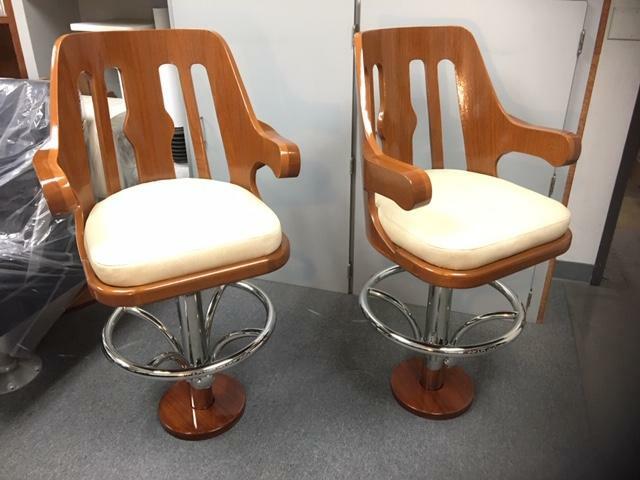 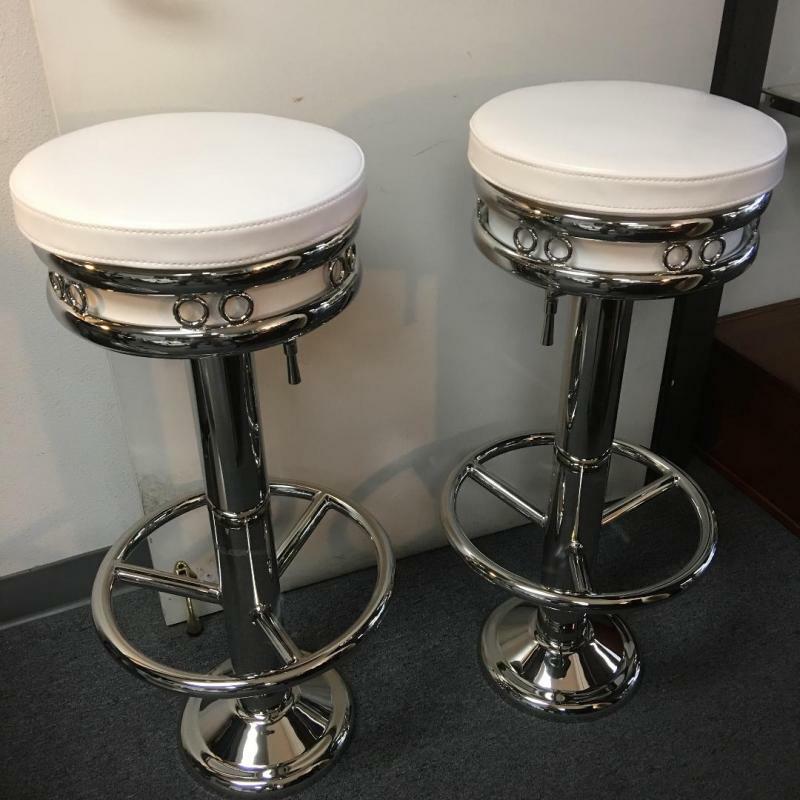 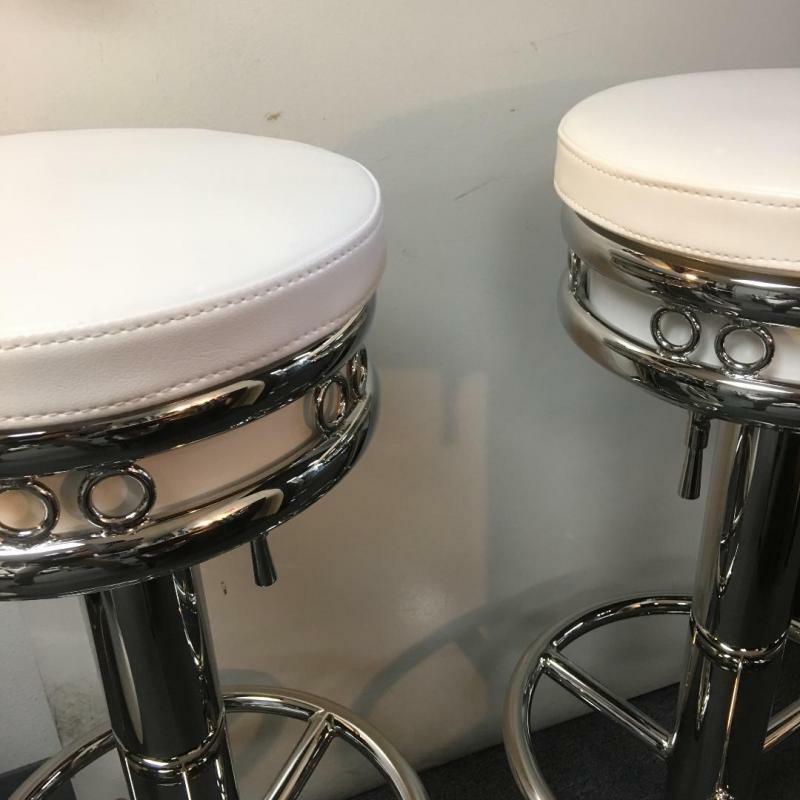 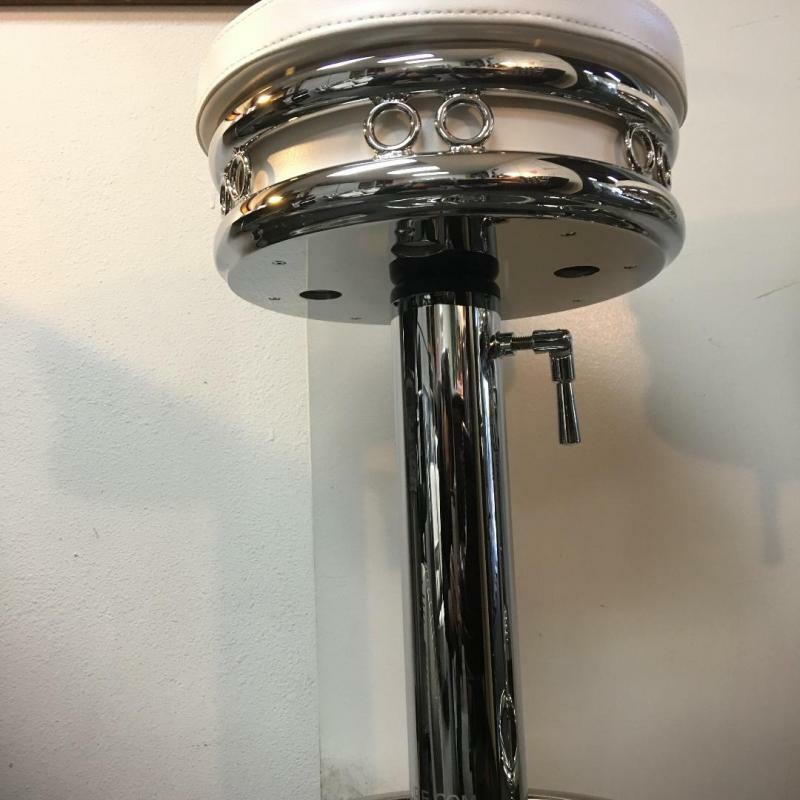 Free Standing Upholstered Bar Stool with Backrest. 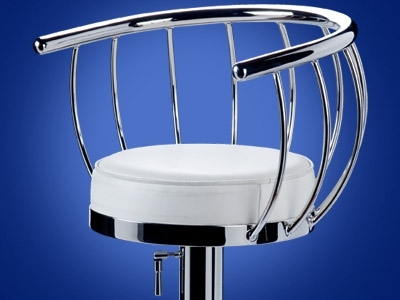 Footrest Included. 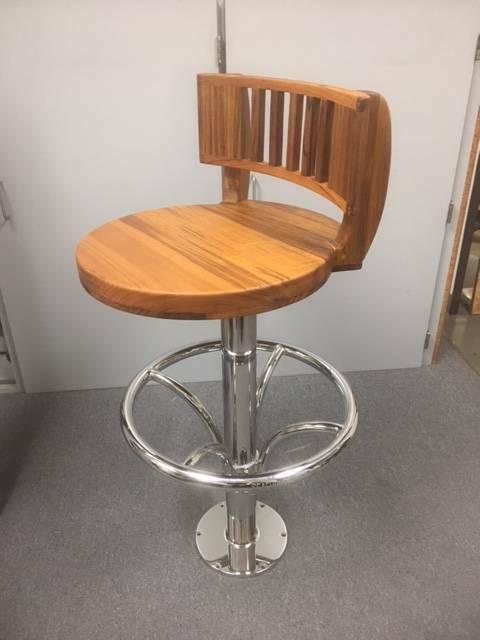 Made to Order in The Size You Require. 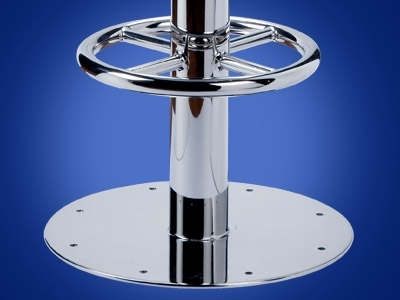 Construction is Polish Crome Steel and Polished Aluminum.